Rogers, Josie Litwiller, Lane Schweigert, and Ethan Davis. The team placed 2nd overall and Cody Gibson had the highest individual score overall. Ethan Davis also placed in the top 10 individually. 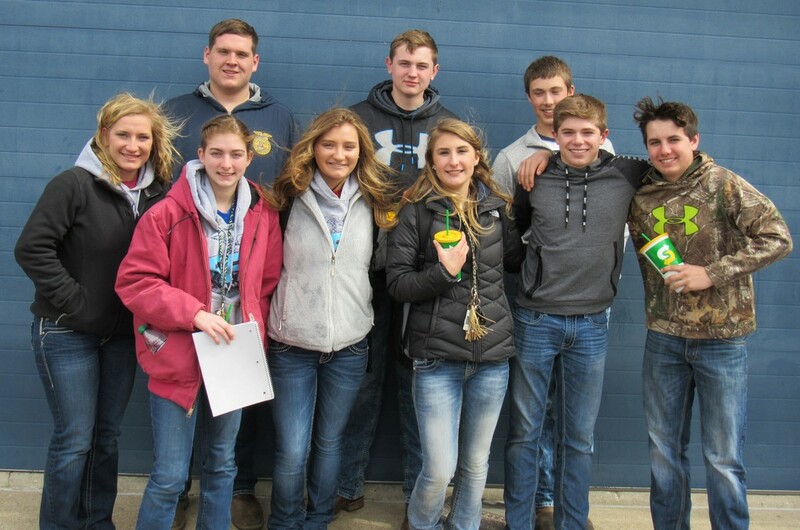 These FFAmembers had to be very knowledgeable about cattle and they had to be dedicated because the day was very windy and cold. Also, all of the judges had a great time judging. Cody Gibson stated, “It was a new experience for me and I wish I would have done it in previous years because it was really fun and I gained a lot of knowledge from it." Overall this day was very successful for everyone and everyone is looking forward to next year where they hope to improve.